Most of us who want to help animals usually end up doing some kind of advocacy or outreach, either individually or volunteering or working for a non-profit organization. However, as I have touched on in other posts and in this talk, we should not underestimate the importance of the for-profit sector: the companies producing and distributing the alternatives. Some of us in the movement have understood this well, and started their own production company (Josh Tetrick at Hampton Creek is a striking example). Other activists, like David Benzaquen, did something different. 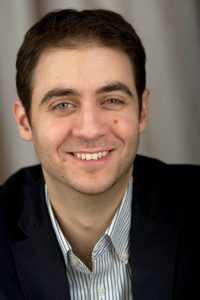 In 2012, David, who’s living in New York, started a consulting company called PlantBased solutions, which helps clients like Gardein, Miyoko’s Kitchen, or Ocean Hugger Foods, with marketing, branding, fundraising, and more. Vegan Strategist: David, you weren’t always running a business. 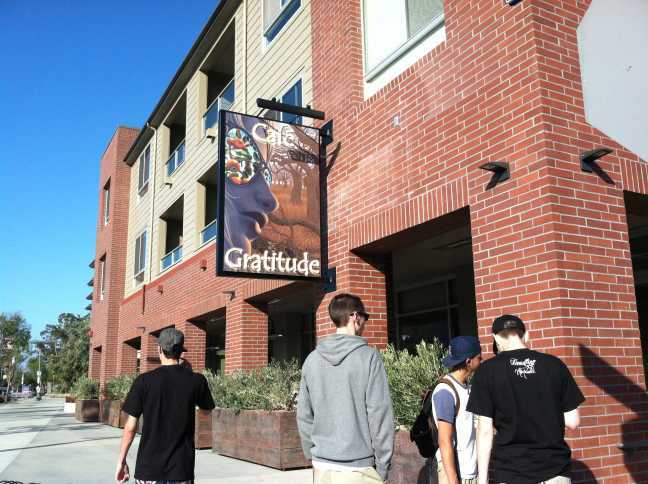 Why did you switch from a non-profit to a for-profit environment? David Benzaquen: I originally worked in fundraising and advocacy for various animal protection groups, such as Farm Sanctuary. My motivation to start my business was to advance ethical, plant-based eating through new means. When I worked in the nonprofit world, I saw that most of our movement was using a limited set of tools to encourage positive behavior change. I greatly admire this work to educate people about the benefits of changing their diets, but I didn’t feel that replicating everyone else’s strategy was the most effective use of my time. My exploration of using business (and marketing, in particular) was motivated by two things. 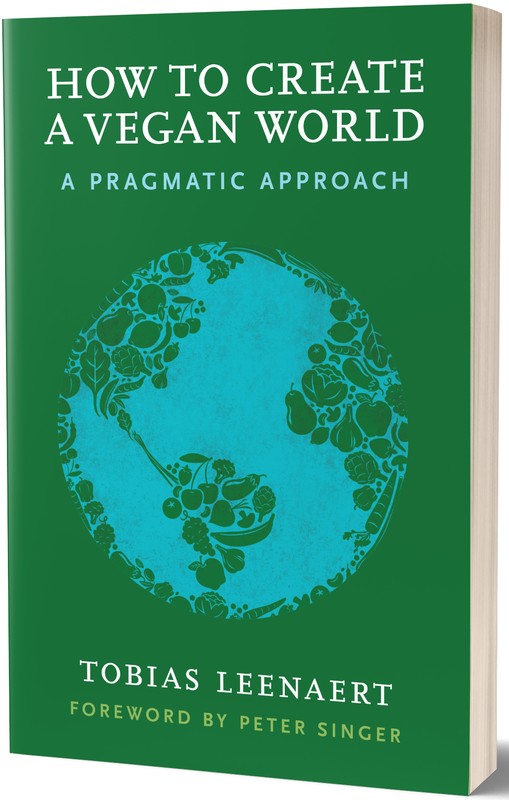 First, I was exposed to the field of Effective Altruism, where people attempt to measure the social impact of their choices and careers and make rational choices about where they can do the most good. Second, I attended a talk by a man named Jeff Dunn, who greatly inspired me. Mr. Dunn was once the CEO of Coca-Cola, but after having an epiphany that he could not continue promoting a harmful product he once called “sugar water and fairy dust”, he left the company. 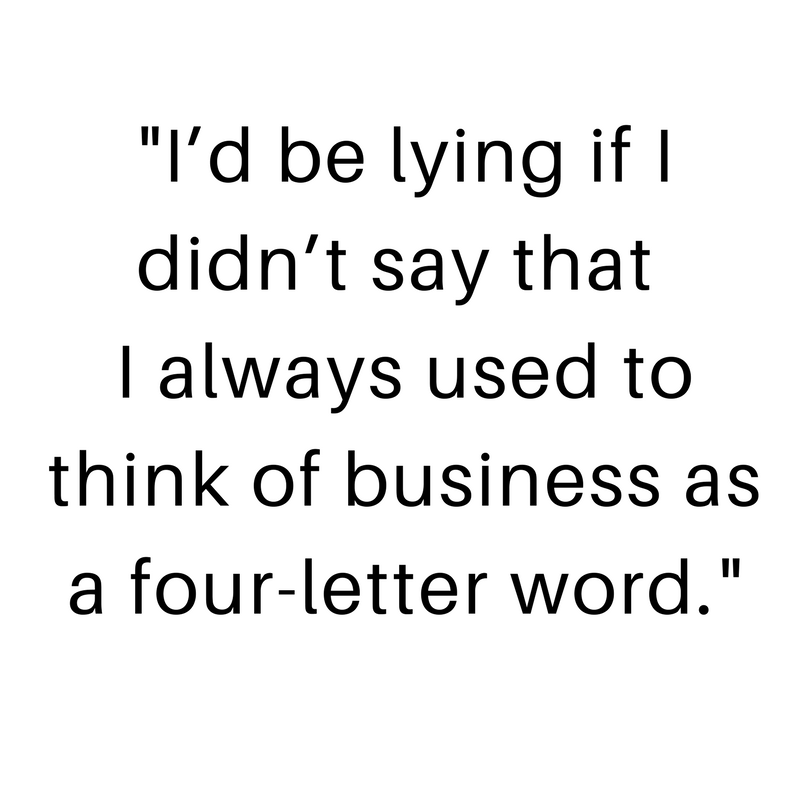 He then became CEO of Bolthouse Farms, and created something of a stir in the marketing world by branding carrots the same way we traditionally see done for junk foods like chips and soda. I was so inspired by how he used fun and engaging marketing to make carrots “cool” that I realized I wanted to do the same thing for vegan food! How do you feel about the impact you’re generating today? Most of the work that our movement is doing to advance plant-based/vegan living is through what we call a “push” method of marketing. That is, we show the consumer what’s wrong with the status quo and try to convince them to change their lifestyle accordingly. While some people may embrace change this way, most will be reticent to abandon what they’re used to and will feel overwhelmed by the threat our ideologies pose to their view of the world. 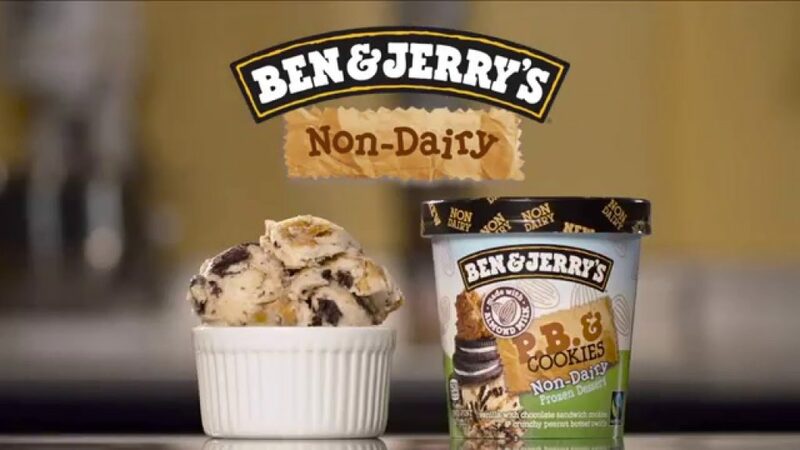 In the work that we do now, rather than trying to convince someone that the world is bad or that they need to change who they are, we just show how delicious, beautiful, and healthy vegan products are and “pull”, or attract, the consumers to try them. Rather than pointing out the problems, we are offering the solutions and making them desirable and non-threatening. 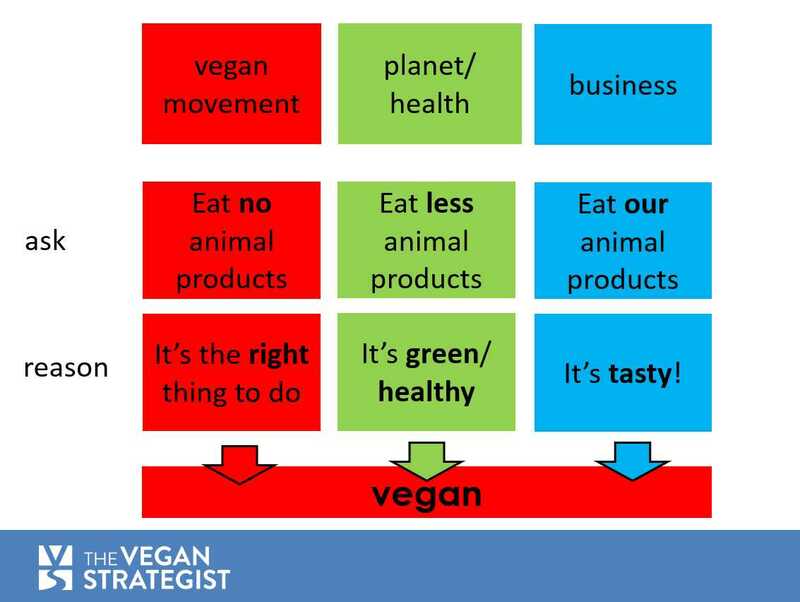 These approaches are incredibly impactful because many people who would otherwise shut down become open to incorporating more vegan products into their lives. They willingly overcome barriers and eliminate assumptions about how difficult or unpleasant living a compassionate lifestyle can be. Business is amazing! 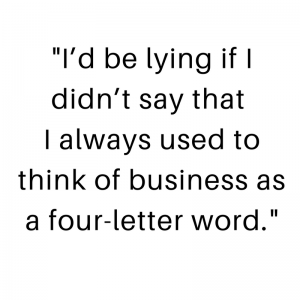 I’d be lying if I didn’t say that I always used to think of business as a “4-letter word”. But regardless of what one thinks of how money and corporate power can be used for bad, the reality is every person needs to buy food and other items to survive. If we don’t engage in the marketplace of goods and work to make vegan products that can compete with the less ethical/sustainable/healthy animal versions, we will never succeed. And, the market is booming! When I started this company, nobody thought that vegan food could be big business. 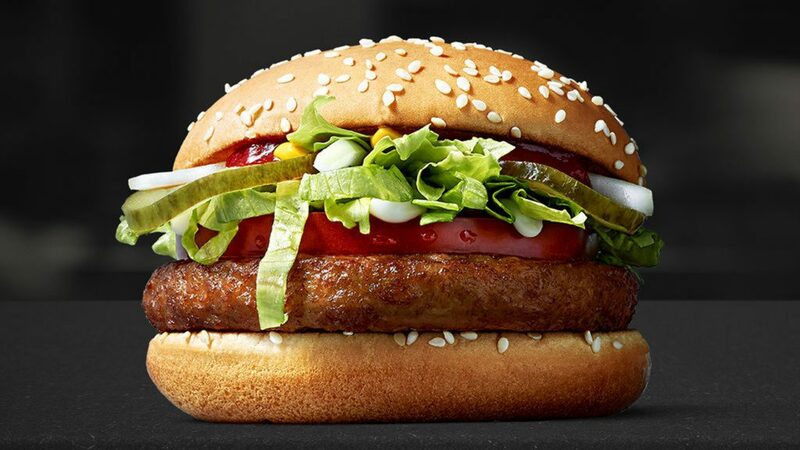 In the last few years, the richest people on earth, from Bill Gates and Li Ka-shing to Peter Thiel and Jerry Yang, have all invested in vegan food companies because they recognize that our reliance on animal protein is just not sustainable. We are honored to be working and growing with so many other compassionate business luminaries. 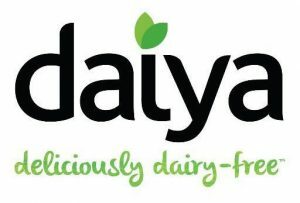 As of the end of 2016, our company has worked with vegan businesses in nearly ten countries, and the list keeps growing as our movement spreads globally. Can you tell us about some of the main challenges that companies are dealing with, and how a company like yours is able to help overcome those challenges? The food business is an extraordinarily complex industry. First, operationally, one must grow or manufacture products in one place, process them, store them, and distribute them far and wide, often using strict temperature controls. These practices are very expensive and have high risks for failure (poor weather can lead to low crop yields, electricity challenges can lead to loss of cooling and spoilage, etc.). Second, because there are so many different foods and brands that can meet consumers’ desires to address their hunger or seek gustatory pleasure, companies must devote considerable resources to marketing and sales to ensure that their products break through the clutter and get onto consumers’ plates. With PlantBased Solutions, we’re able to help companies in several key ways. 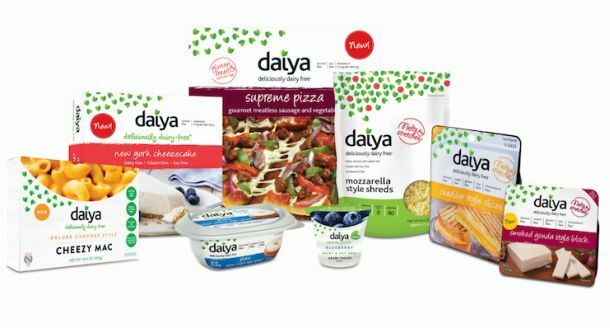 First, because we are focused on the plant-based space and have worked with many of the world’s leading vegan brands, we know the competitive landscape for our clients better than anyone, and we are able to help market their products in a differentiated and effective way. 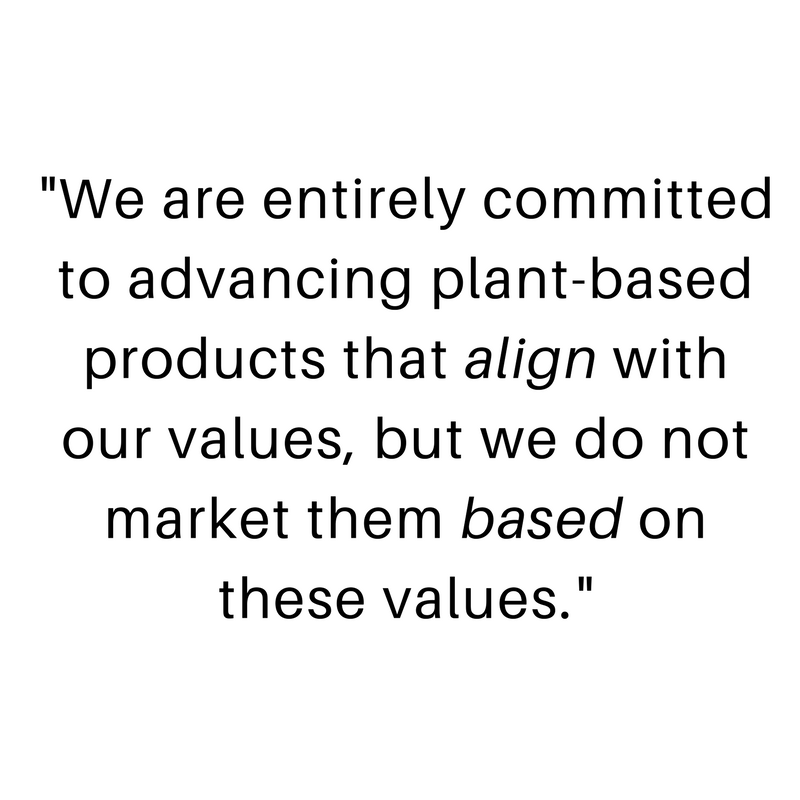 Second, we have performed a significant amount of proprietary research on the consumers eating plant-based products, both the vegan/vegetarian community, and even more importantly, the flexitarians who are moving in that direction and whom we most need to influence. This allows us to plan our clients’ messaging, branding, and targeted marketing in the most effective way to motivate these consumers to find and buy the products. To what extent does your animal rights background and motivation shine through when you help marketing products? 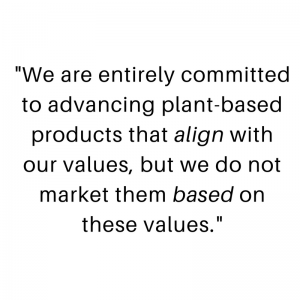 We are entirely committed to advancing plant-based products that align with our values, but we do not market them based on these values. We know that the vast majority of consumers buy food not based on mission, but based on taste, price, and convenience. 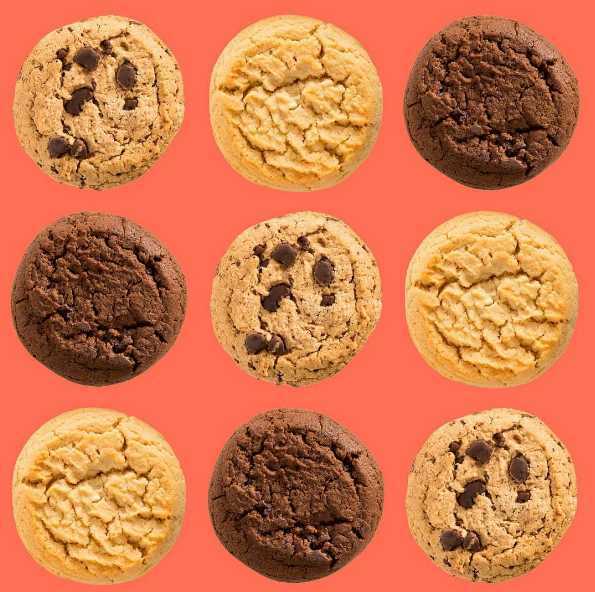 Rather than trying to convince them to buy our clients’ brands for the reasons we would, we show them how tasty, affordable, and convenient (both to find and use) these products are. Still, our work ethic and passion for our clients and their products obviously goes far beyond a marketing or consulting team that is motivated only by their paychecks. We believe that helping our clients sell lots of products means displacing a lot of harm in the world, from cruelty to animals and environmental destruction, to heart attacks and cancer. We are on a mission to help our clients succeed because we know that lives depend on it. We are proud to do this work, and this passion comes out in the time and devotion we give each client and in the thought and care we put in to what we do. If companies are so important, what can individual activists do to help them succeed? 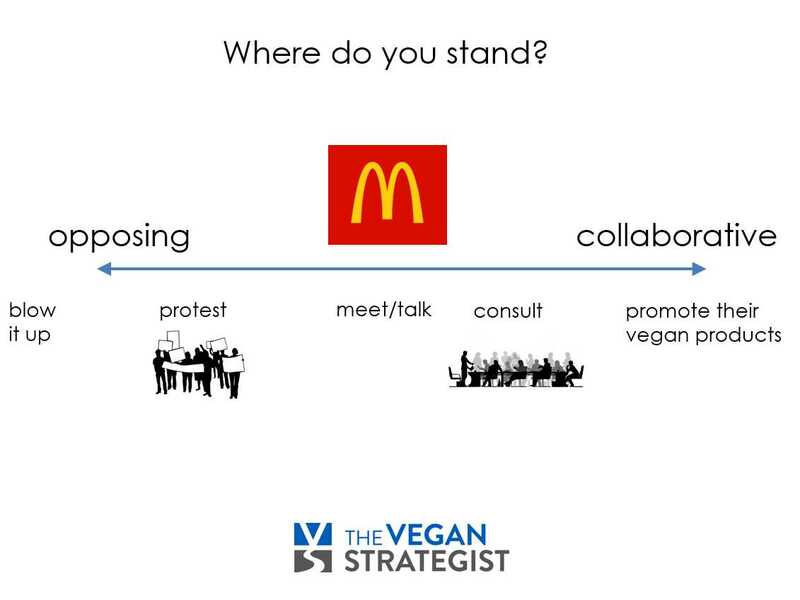 The most important thing you, as an individual activist, can do to help plant-based/vegan businesses succeed is to vote with your dollars and your forks! Every time you buy a plant-based product at a grocery store or order one of these items off a menu, you are directing money away from companies that do harm and towards those that will use the resources to build a more compassionate world. In addition, we are building a new compassionate economy from the ground up, and it takes a lot of people to support that infrastructure. 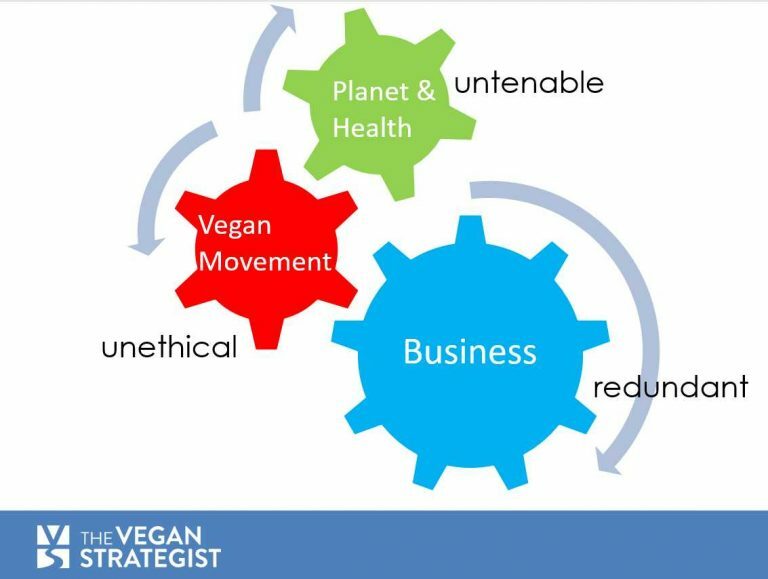 No matter what your individual skills are, I can guarantee there are ways you can apply them to a career in vegan business. Maybe you’ve read this anecdote somewhere (I’m not sure if it ever happened): there was this vegan speaker who asked his activist audience who was willing to devote their life to the animals. Everyone shouted yes. Who was willing to die for the animals? Again, all shouted yes. Then he asked: who is willing to shave and put on a suit for the animals? And everyone looked down at their feet and no one said anything. Some activists pride themselves on things like how many times they’ve been arrested for the animals, or how poor they are because they don’t work and spend all their time on activism. While these may surely be signs of great commitment to the cause of animal liberation, they are not necessarily signs of actual effectiveness – and effectiveness is what animals need from the activists working for them. Professionalism can mean many things. In this context, I’m interpreting it as making sure that you are being effective for the animals, that what you are doing has impact because it is action in a well chosen field, and/or meticulously, professionally carried out. An NGO can function on a scale from low to high professionalism. One aspect of professionalism is making sure that you look good to the serious people: the people in charge of things, the decision makers. If you need to dress up for that purpose to look more credible, so be it. I see values like “being yourself” or “sticking to who you are” or “speaking your truth at all times” as secondary to achieving impact. At least as long as animals are being killed in droves. Fortunately, our movement is growing in professionalism, in different ways. The books of Nick Cooney, for instance, have been emphasizing the importance of trying to measure the results of our actions. Animal Charity Evaluators was set up to help people donate to the most effective organisations. The ideas of “effective altruism” are getting more and more traction in our movement. The Humane Research Fund, recently celebrating it’s 15th anniversary, is into getting evidence based data on what works and what doesn’t. Etcetera. We are also seeing more vegans and animal rights people outside the movement, in strategic positions in society, where they can change things. Sometimes this was a conscious decision, like in the case of Josh Tetrick, who founded Hampton Creek to develop the best egg alternative. Sometimes entrepreneurs become interested in the plant based food topic only later in life, as in the case of Bill Gates. The website www.veganleaders.com lists “numerous high-ranking management, finance, legal, marketing, IT and other office professionals who proudly endorse the vegan lifestyle.” A very hopeful sign that vegans are not just living in the margins of society anymore. Our movement is definitely maturing, and it’s going fast. It is important to note that all this profesionalisation has nothing to do with selling out or not being true to our values, as some undoubtedly will think. On the contrary, it has everything to do with being the most efficient friends of animals we can be. The meat and dairy industry does not fear us as long as we’re shouting in the streets and playing the vegan police amongst each other. It will fear us all the more when we are as professional and effective as possible.